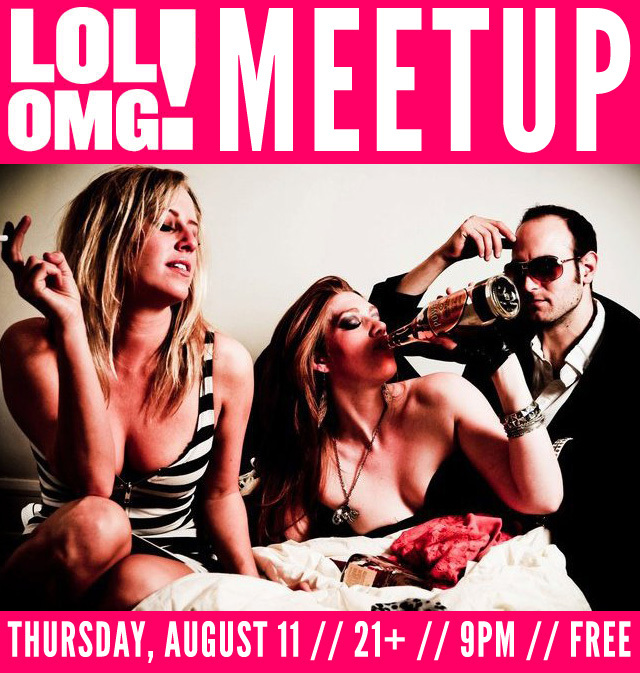 Join LOL/OMG for our next Social Media Meetup/Tweeup at the 331 Club on Thursday, August 11th. We've whipped up an awesome lineup for the occasion that will surely inspire joyful tweets of epic proportions. Socialize with your Twitter/Facebook/Foursquare/etc friends IRL, drink some cheap dranks, nerd out, shamelessly hit on people, whatever...just be sure to tweet it so we can LOL/OMG you later!